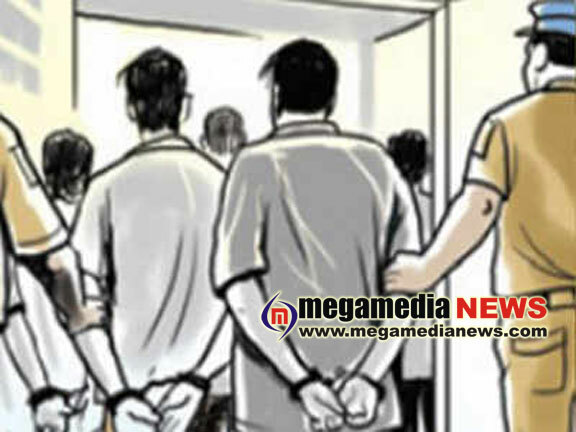 Udupi: A gang of seven persons which was involved in several cases of assaultng and robbing passersby during night time have been arrested by the police. The arrested have been identified as Shreyas alias Sachu of Kalianpur who is one of the prime accused in the Mangaluru home-stay attack case, Abhijith, Vighnesh, Sampath, Manish Kumar, Nikhil Shetty (student) and Shashank. Two others namely Abhishek and Harshith are absconding. All the accused are between 19 and 21 years of age. The gang operated in Udupi, Manipal and Mangaluru area and used to prey on those walking alone during night time and rob them of cash and mobile. They also attacked passengers in /udupi city bus stop and bus stops in the outskirts of the city. However, none had registered a complaint. On June 16th, the gang made off with the mobile of their victim after assaulting him at Kalianpur Santhekatte. As soon as the victim lodged the complaint with the police, the location of the accused was ascertained and the police arrested three of the accused in Mangaluru and three of them in Bengaluru. Currently the accused have been remanded to judicial custody.